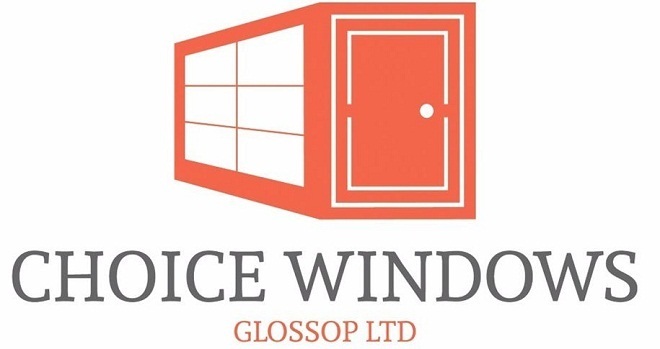 We are a Glossop based company specialising in all aspects of window and door installations and repairs. Offering a friendly, no obligation approach to any enquiries, no matter the size. Excellent service! Kept us updated and did a great job on a problem doorway. Very happy with the result. Will use them again for windows in the future. I am extremely satisfied with the service from Choice windows which was quick, professional and reasonably priced. The job was to replace 2 double glazing units which had misted up, and I did not want to use the installer I had used previously as their units had failed within a few years. Tom replaced the units and also resealed the external gaskets of all the windows to help increase their lifespan. What is more, he noticed that the back door needed adjusting it had been giving us trouble for months an d he fixed it free of charge with no fuss. I have no hesitation recommending Choice Windows to other customers. I was very impressed with Tom and the team at Choice Windows Glossop, he was professional through from quote to completion of the work. He worked with me on some specifics in a timely fashion with understanding and consideration. I could recommend them highly enough, I would use them again. Tom's expertise and advice delivered us the most wonderful doors. Tom made suggestions for features I didn't even know existed. I am thrilled with them. If you get a chance to employ him, don't hesitate. Communication was great. He turned up when he said he would and did a perfect job at the right price. Many thanks. Tom and his team did a very professional job - turned up on time, were polite and courteous and installed two beautiful sash windows and a new back door. We are extremely pleased and would definitely recommend. Will use them again! A text book job! Prompt, professional, courteous and leaving no mess behind. Could recommend for a high quality job. Very happy with the quality of our new timber windows. Tom did a great job fitting in difficult conditions and was prompt to respond to questions and keep me updated on progress. Tom and his team have undertaken a number of jobs for at my property, including replacing a front door, external decorating and internal property maintenance. They were reliable, efficient and tidy. They turned up on time and kept me informed of progress in respect of all the jobs they have undertaken. I would recommend them to any property owner looking for good quality work. Excellent work, great product fitted. Cleaned up really well and I am highly satisfied. Fast response time. Attended at time/day agreed. Offered good aftercare. Pleasant, reliable workers who worked professionally throughout. Called out to undertake a small job at a time convenient to me. Friendly and efficient. Will definitely consider using them again. Good service. Cleaned up & took away old glass. Fixed fault & did not charge extra. Very pleased. Very professional. Extremely pleased with their work. Very clean and tidy. Attention to detail was very impressive! It is hard to find someone you can trust when you have no knowledge of the particular skill required. This company came when they said they would, were polite, tidy and efficient. I felt the price they charged was fair too. A fantastic company, perfect work carried out, fair price and very nice guys. 100% reliable and all work carried out to a extremely high standard. Would definitely recommend and wouldn't use any other company again. Very happy with the work done by a great family firm. Friendly, did the job quickly. Great service, nice people. Fair price. Phoned this morning and job done by dinner time. I will recommend this company to all my neighbours. Will definitely use this company again. Excellent service. Very pleasant. Very clean - no damage to wallpaper inside or to the outside. Managed to obtain matching window to replace leaded light installed years ago by another firm that had failed. Very pleasant and helpful company to deal with. Reliable, came when they said they would, very tidy workmen and very good quality workmanship. This company was fantastic, gave me a quote, did the job and kept to his price. I would definitely recommend to others. No job too small, even offered to replace blown window panels in my double glazing at a very reasonable price. Tom and his team did a brilliant job from start to finish. We would highly recommend them, we would also use them again for any job we needed doing. Brilliant team. Brilliant work. Very professional with attention to detail. Would highly recommend. Very pleasant team to work with. Good, quick, tidy - we are very happy with the work done. Very professional service, reliable & friendly, cleaned up afterwards & took away the old glass panel, can't recommend highly enough. Tom was recommended via a friend and I am thrilled with the work they have completed. It was completed on time to the highest standard and they cleared up all mess thoroughly. Highly recommended and we will definitely be using Tom again. Was helpful and did the job exactly as promised. Would recommend him. Tom did an excellent job from providing the original quote to communicating with me to arrange a suitable to time to do the installation. The old window and debris from the installation were all cleaned up and taken away. Tom is extremely approachable, wit h an excellent work ethic and I wouldn't hesitate to recommend him. Very happy with the work done. Can't praise them enough. Choice Windows were working on my neighbour's property and needed to use my garden to gain access. They were polite and seemed competent when I asked them if they could do some gutter clearing for me (they had fitted new gutters for the neighbour) they were more than happy to oblige and well priced. Very professional service and excellent workmanship carried out with minimum fuss. Excellent service. Very reasonable quote. Very nice team of workers. Cleared up everything after job was done. Very happy with new windows. Would definitely recommend to anyone and will use again. All work completed to a high standard and area left clean and tidy afterwards. Very good service. Punctual, clean and tidy. Good quality goods friendly. Both Tom and Greg were brilliant. They worked clean and tidy and cleaned any mess up after the job was done. Greg even cleaned all my windows and when finished I couldn't tell I had any glass in there! I would recommend them anytime.